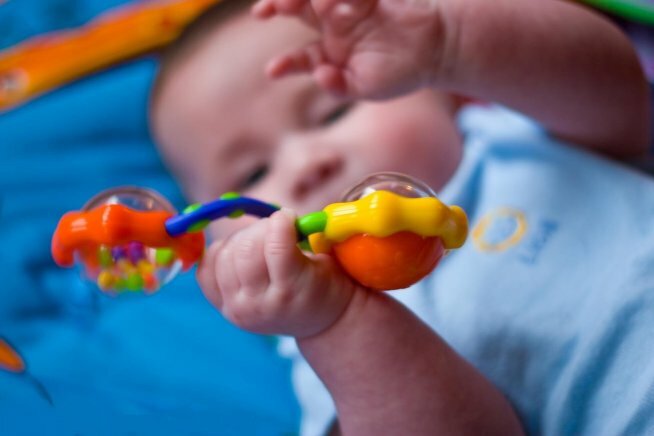 Make a double rattle for baby: tie two rattles by a ribbon so that the distance between them is about 10 centimeters. Give your baby one of the rattles. Your little one will try to take the second rattle. It will entertain your baby for a while. 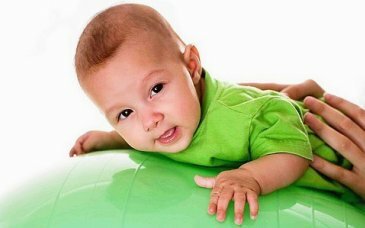 Make a photo of your baby playing with the double rattle and upload to the App. Write whether your kid liked the toy.